We will be looking at how to move in the world from a place of embodiment, balance, and harmony rather than a place of toxic masculinity. This exploration can allow us to bring the liberation of the heart into wise action. The retreat will consist of silent periods of sitting and walking meditation, meditative small group inquiry, group discussion and dharma talks. 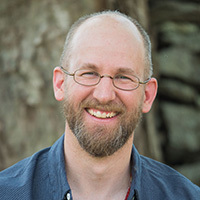 Brian has practiced Buddhist meditation since 1988 and has taught since 2000. He has studied in the Zen, Theravada, and Tibetan schools and was ordained in the Rinzai Zen tradition in 1996. His training in Vipassana Meditation includes doing extended meditation retreats in Myanmar (Burma), Nepal, and India as well as numerous retreats in the U.S. He leads retreats and teaches meditation courses nationwide. Brian also has a private practice in Somatic Experiencing, which is a naturalistic approach to healing trauma. Devin began meditating in 1999 and has undertaken many long-term retreats, practicing primarily within early Buddhist and Theravada lineages. 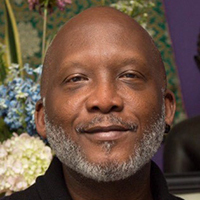 He teaches at the East Bay Meditation Center in Oakland, where he co-founded the teen sangha and the men of color sangha, and he is a core leader of the SF POC Insight Meditation sangha. He is currently a participant in the 2017-2021 IMS Teacher Training Program. Devin can be described as an engaging, humorous storyteller who uses poignant anecdotes to convey powerful truths and a breadth of life experience.